Real estate pros haven’t been preaching, “location, location, location” all these years for nothing. Just as place and space make a huge difference in business and at home, where you choose to lay down your aisle runner greatly affects the kind of wedding you’ll have. Many couples kick off the planning process by booking a venue; the ceremony and reception site often sets the tone for the entire day. No matter where you are on the road to that center stage, you’d be well-advised to circle back to those three important words along the way to ensure that you’re making the most of your outpost. To help with that, we’ve highlighted some top hot spots and talked with experts about the ins and outs of staging events both near and far, fancy and rustic, in warm weather and cold. Let’s start in the urban core and work out from there. 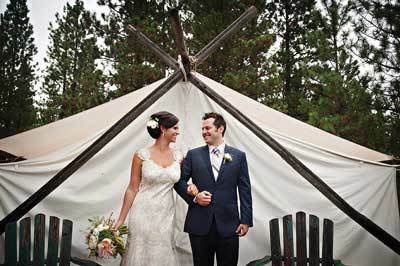 Hans and Becky Juhl wanted the warmth and togetherness of a destination gathering, but they also wanted a winter wedding and were wary of asking folks to drive across mountain passes to somewhat remote areas. As it turns out, their December 29, 2012, celebration at the downtown Fairmont Olympic spanned the entire weekend and then some; family and friends from college and law school took advantage of the Fairmont’s bulk room discounts, and guests checked out Experience Museum Project, Pike Place Market, and the just-opened Great Wheel. 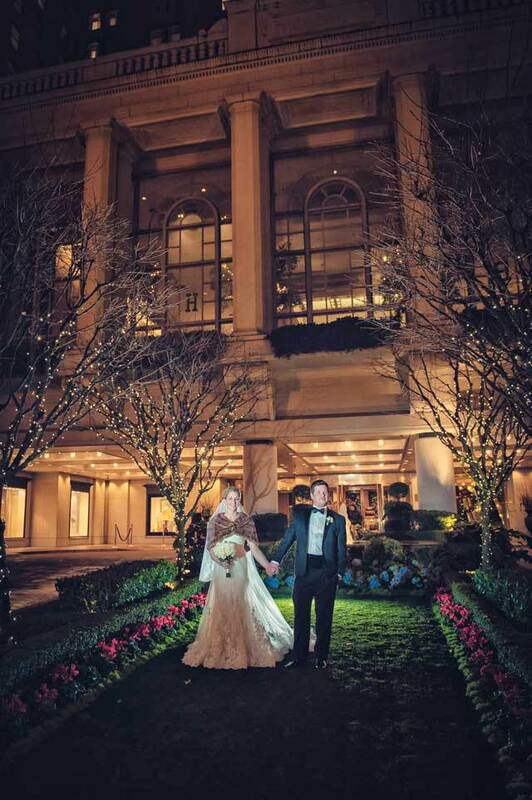 The rehearsal dinner was held at the Sorrento Hotel, and the newlyweds had a fabulous New Year’s Eve dinner two nights later with friends who stayed in town at the W Hotel. Club Old School The Rainier Club, a grand 1904 treasure with four ballrooms, six guest suites, and an in-house catering and events department, offers an estate-like alternative to the all-in-one hotel model. The rich brick building and manicured grounds suggest genteel pursuits like lawn bowling, but the super-easy interstate access is a modern-day boon. Clubs like the slick, sky-high Columbia Tower and the more, well, down-to-earth water-facing Harbor Club offer similar accessibility but no accommodations—although they often have deal agreements with hotels in the neighborhood. All Downhill From Here The growing scene on Capitol Hill extends the reach of our city hub. Melrose Market Studios, Century Ballroom, and Pravda Studios evoke metropolitan style with, as Adam Loughry puts it, a “gritty appeal.” After Loughry and Kristen Moreau wed at Volunteer Park on August 9, 2013, they surprised guests with a flock of 25 bicycle cabs that ferried them to Sole Repair Shop for the reception. The groom says the “abrupt but memorable transition” took their 60 or so friends and family through the tony, “old-money” side of the Hill and down the Pike/Pine corridor, thereby showing the various personalities of the couple’s neighborhood—and their favorite mode of transportation—to their mostly East Coast crowd. 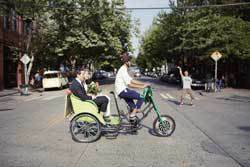 Photographer Ben Blood hopped on his own two-wheeler to capture the pedalers that Greener Cab’s Sacsha Toda-Peters helped wrangle. As the party rocked on at Sole Repair, the venue’s new two-story garage door rolled up to cool things off, and dancing and merriment spilled out into the streets. To consider We’ve all experienced the challenges of parking in densely populated Seattle. Sarah Cabatit of EventWise makes a good case for ensuring that your guests don’t have to. “I know these are not the first things that come to mind after the question is popped, but coat check, restrooms, and parking are the prime elements of your guests’ experiences,” she says. Talk to venue staff and planners about all-around positive first and last impressions. Think of the city’s vibrant outer neighborhoods and suburbs as convenient homes away from home, especially if you’ve been tempted by some variety of backyard affair. “At-home weddings are very rarely less expensive than going with a venue, by the time you bring in tables, chairs, and other rentals,” says Melissa Parker of Amazing Events. For Mckenzie Carpenter and Carl Vander Hoek, the Seattle Tennis Club on Lake Washington in Madison Park provided the comforts of a familiar setting—the bride’s parents had married there and are members, and the groom grew up with a view of the lake from his Kirkland home—and the exclusivity of a quiet, quaint-nook mood. (Nonmembers just need a member to sponsor their event.) 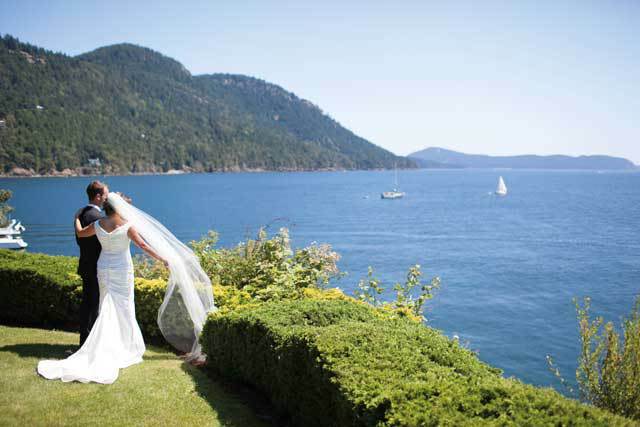 They lined up out-of-town guests for the August 10, 2013, wedding with hotels on Madison Avenue—the Silver Cloud at Broadway, and the Sorrento beyond—and gave them an artistic rendering of Seattle’s layout along with a more detailed map with all of the wedding-related routes carefully plotted. Restaurant Rows In a town like ours, there are lots of very foodie affairs, and these days plenty of neighborhoods are hot when it comes to haute cuisine. 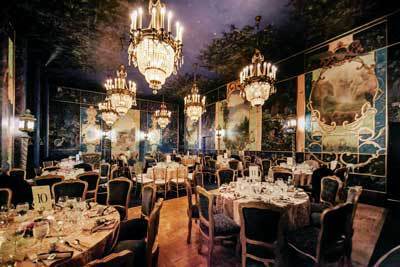 Kaspar's, the Ruins, Canlis, and the Loft at Russell’s allow you to treat your guests to a top-notch dinner party—or cash-saving gourmet lunch or breakfast bash—in the relaxed, often tree-lined comfort of a cozy burg. See also: Olympic Rooftop Pavilion, the party space associated with the lauded Stoneburner restaurant on Ballard’s main strip. Not only does this 150-person site offer some serious views on the mountains and sound, but the Hotel Ballard below has 29 rooms when it’s time to call it a night. May we recommend a group stroll through the city’s most popular farmers market on the day after the big event? Playing for Keeps Barns, mansions, manors, and other such structures allow you and your crew to set up a sort of temporary residence, even when it’s just for the day. When you gather folks at spots like the new Storybook Farm in Redmond, be sure to do as Pink Blossom Events planner BreeAnn Gale suggests and provide lots of information right away via a link from your wedding website when the save-the-dates go out. The more off-the-radar your spot is, the more you owe it to guests to provide accommodation information, driving routes, and personalized, helpful information about surrounding areas. Oh, the allure of a regional destination celebration—the beauty of the Northwest, the captive audience, the group vacation! But keep in mind: once you’ve whisked folks away, your responsibility as hosts really sets in. 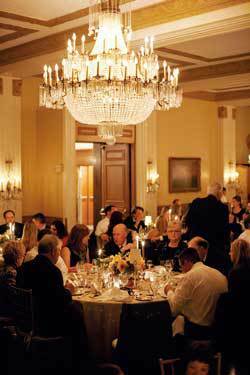 The help of a top event management team is key. 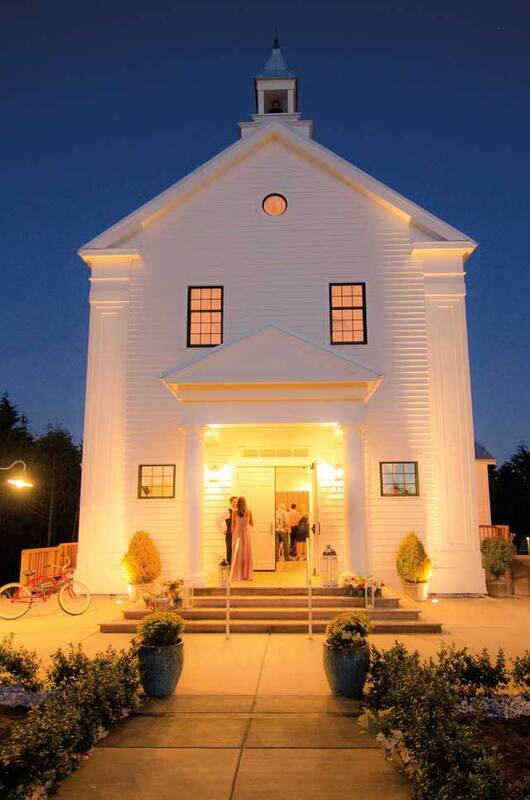 “The wedding site for one of our large weddings this summer in the San Juan Islands didn’t have parking for 180 guests, and the island roads are very dark at night, so the couple asked us to help get everyone to the venue,” recalls Jamie Moore of Sinclair and Moore Events. “We had the guests reply on their wedding RSVP card with the name of their hotel, and we tracked the number of guests at each location and worked with a local transportation company to craft a master shuttle schedule for pickups. Afterwards, the shuttle company taxied guests back around the island as needed.” Here’s to going the actual extra mile. Road-tripping Speaking of miles, it’s worth thinking about them in a sort of tipping point way. When A Kurant Event owner Megan Keller married Aaron Bird on September 7, 2013, they found that Flying Horseshoe Ranch was the perfect sweet spot: far enough that everyone felt that gleeful remove, but near enough that, when the keg went flat after an errant early tap, they just sent someone back to the brewery for a remedy. But the Cle Elum location is a 90-minute drive from downtown Seattle, so out-of-towners definitely needed transportation help. The wedding pro’s solution? Keller paired visitors with drivers from Seattle, and everyone arrived at the spot with a new friend or two. Do the Math Of course, distance is relative, and so are drive times, routes, and nearby amenities. For instance, The Majestic Inn—90 miles away in Anacortes— provides the island vibe without the ferry ride. And two-and-a-half hours from Seattle in Seabrook, there are 145 entire homes in which to set up your beloved villagers. To consider Christopher Smith of Christopher Flowers says distance definitely affects the cost of delivery and setup, and often overnight accommodations, refrigeration, and vehicle rentals come into play, too. DJ Austin Beaver says he typically does not charge extra for weddings that take him anywhere from Vancouver, British Columbia to Portland, but his clients outside of the Seattle area do pay for overnight lodging and flight costs when applicable. Booking early is key: if local vendors have to leave Seattle on Friday to arrive for an early Saturday setup at your event, you’ll need to nab that weeknight before someone else does.